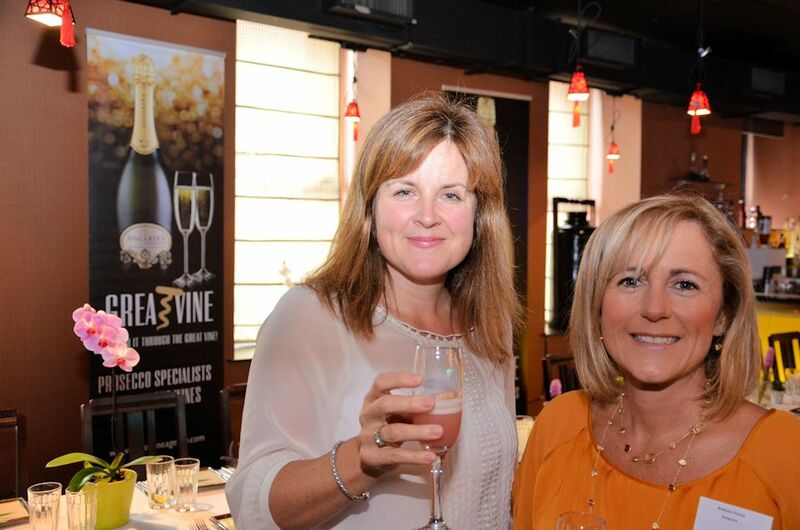 If you didn’t manage to make it along to our wine tasting event at Zen Belfast this week, then you really did miss something very special as all our guests who attended will gladly tell you. 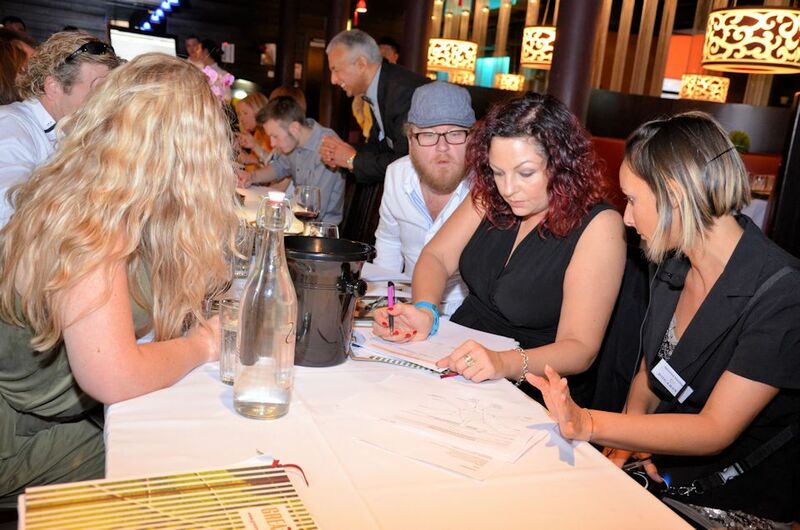 Every guest there completed our feedback forms to say that they learned a lot about Prosecco that they didn’t already know and that the experience would much better equip them to buy Prosecco for their business in the future. 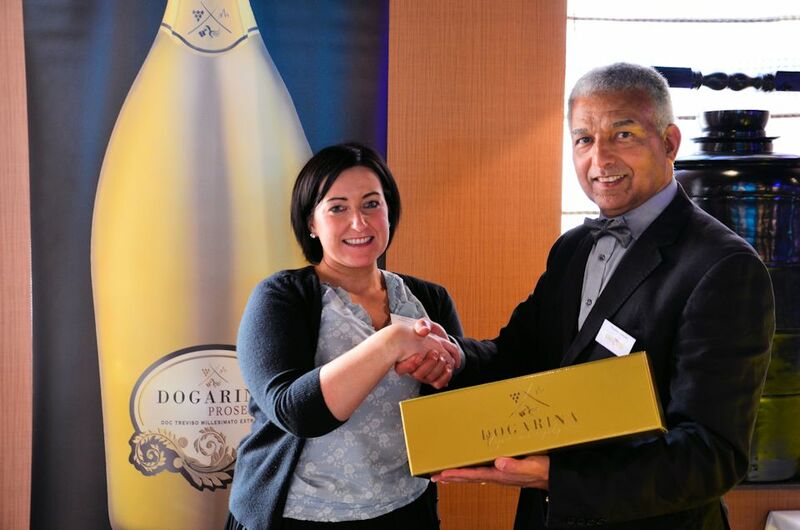 Most scored our Dogarina Prosecco DOC Treviso Extra Dry 10 out of 10 including our revered Italian guest Mr Marco Marro, Head of Food & Beverage at The Merchant Hotel – Belfast’s landmark 5 star. The Dogarina DOCG Brut Prosecco also scored very highly with our guests, as did most of the other wines including an out standing Sauvignon Blanc, two premium reds of 2006 vintage – the Decano and the Raboso as well as an exceptional dessert wine by Paladin winery – Passito di Soandre. 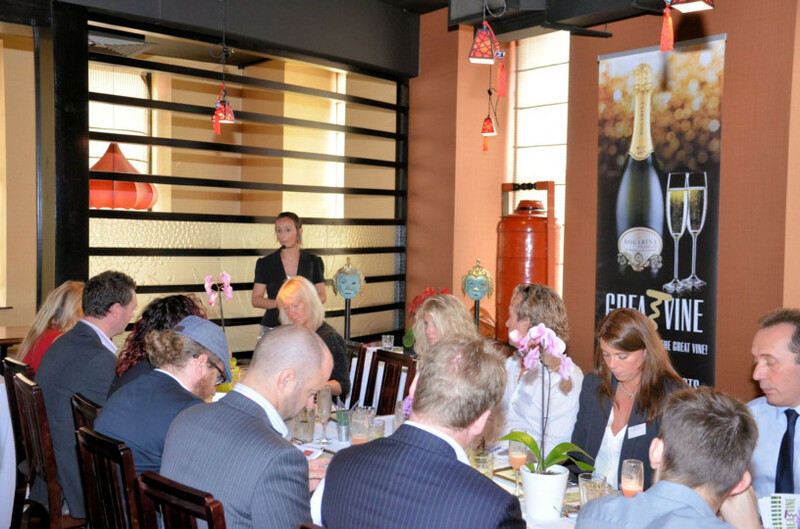 Our guests were served up an amazing course of Asian tapas style dishes with each of the 12 wines sampled and the food was specifically paired for each wine. Veronica Vecchiato from Dogarina winery who is a Sommelier as well as Export Manager for the winery, did a fantastic job explaining each wine to our guests and she had a fun cutting edge new chart developed by the Association of Italian Sommeliers for every guest to complete that charted how well the food and wine was paired. “I realised how little I know about my favourite drink”…. referring to Prosecco and ‘Seriously impressed! !’ as well as ‘It’s been tremendous! Loved the Decano, all the Proseccos and the Sauvignon’ were just a few of the positive comments we received on the feedback forms. The most important question we asked was should we contact you to discuss an order, to which most guests at the event answered yes! Our guests also got to sample 5 different flavours of fruit purée by Les Vergers Boiron which is used for the white peach purée in the Bellini cocktails made in Venice where it was first invented in Harry’s Bar. 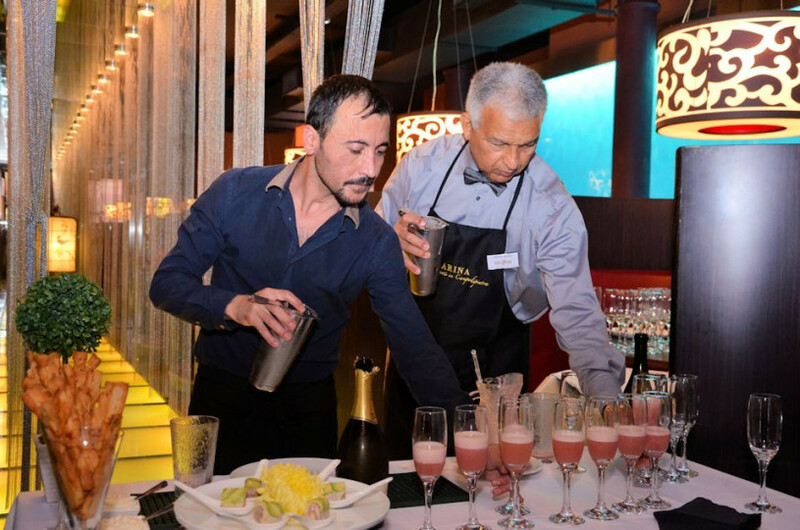 Thomas from GreatVine is said to make the finest Bellini cocktails in Venice, so he prepared his Bellini cocktails with the white peach purée, Dogarina Prosecco and his two secret ingredients for the event to welcome our guests. Everyone agreed they had not tasted a Bellini cocktail like this one in Northern Ireland before. To help the guests with their digestion and give them a special treat at the end, Thomas prepared a Venetian speciality – The Sgroppino in front of the guests, with a special sharp lemon ice cream made by Morellis in Coleraine, a dash of vodka and Prosecco. A period of ooohs and aaahs ensued and even one ‘I think I’ve died and gone to heaven!’. Nicola Daly of Hospitality Review NI Magazine was the lucky winner of the draw to win a gold magnum of Dogarina Prosecco on the day. Well done Nicola and let us know when you get to the bottom of that won’t you? 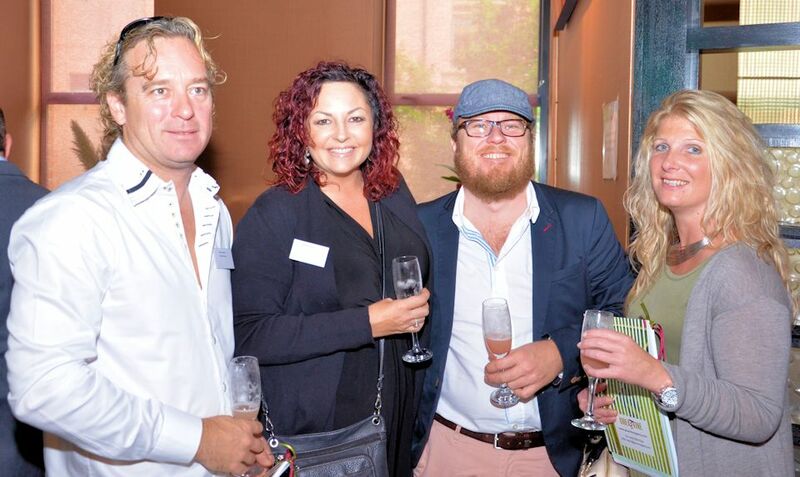 We would like to thank all of our lovely and professional guests who took valuable time out of their very busy schedules to come for the event. We know that you are very glad you did. 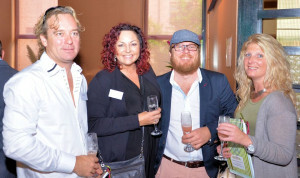 Photo Credits: Many thanks to David Dawson Photography for doing a fantastic job at our event!